PRESS RELEASE – Giovanni Ottati confirmed as Chairman of Confindustria Assafrica & Mediterraneo for the 2018-19 two-year period. Enel Green Power and Morsettitalia join the Chairmanship team. 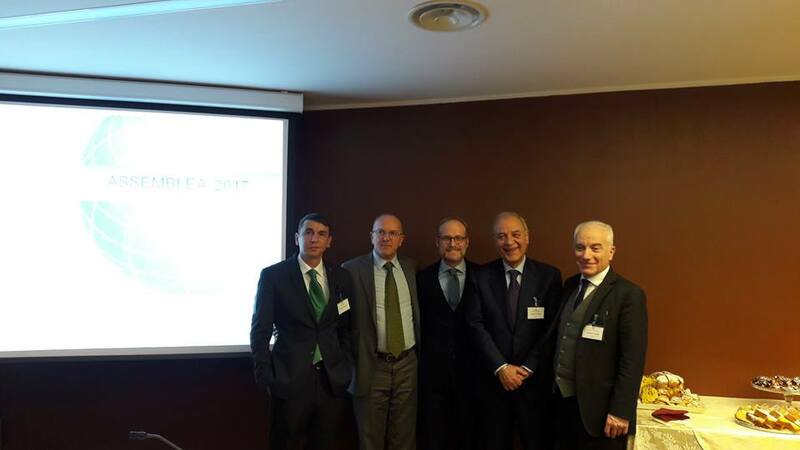 Rome, 19 December – Giovanni Ottati was confirmed for his second term of office as Chairman of Confindustria Assafrica & Mediterraneo at the Association’s Annual Meeting held today at Confindustria’s head offices in Rome. For the 2018-19 two-year period Giovanni Ottati’s team will see some new faces: Antonio Monaco (Salini Impregilo) and Antonio Montanari (Gruppo Martini) will be flanked for the first time by Ruggero Aricò (Enel Green Power) and Filippo Codara (Morsettitalia). “The new Chairmanship team, made up of large groups and SMEs, is glimpse into the Italian industrial system. In January, Assafrica will begin an Observation in Libya and will carry out the industrial development work with Tunisia,” stated Chairman Ottati, concluding the works. Giovanni Ottati, 54, Rome, is a seasoned expert in the Mediterranean and Sub-Saharan Africa markets and those in the Gulf, where he has lived and worked. He is the Chairman and founder of VueTel, an Italian telecommunication services group that operates in the international market for wholesale voice and data services. Formed in 2008 as a start-up formed, in 2016 Vuetel’s revenue reached 130 million euros. The 2018 calendar of activities was presented during the Meeting, which will see Tunisia, Senegal and Ethiopia featuring amongst the Association’s priority countries, in line with the decision expressed by Italy at the African Union – European Union Summit in Abidjan on 30 November. Machine learning: the strong alliance betweet VueTel and the University of ... Subsea cables and OTTs: where is business going?